It was so hard to choose a topic to be nutty about because there are so many areas which would fill the bill. I decided to be nutty about tea things. Found these cute paper-pieced Mug O'Love mug rug patterns at SewHooked.com. And sewing fabric goes perfectly with tea. A teapot fabric hiding in the stash stitched into a cheerful slightly funky table runner. The January block, A Touch of Fun, from Victoriana Quilt Designs 2016 quilt was called Hot Chocolate. Could not resist so I was nutty enough to begin another BOM. A bit of stitching, Oh cozy me. A teacup panel that I thought was too pretty to cut became a sweet centerpiece. Am I the only one who has a hard job cutting fabric until the perfect project comes along? And who cannot be nuts about the sweet pattern of Hugging & Kissing Penguins offered as a gift by Marian of SeamsTo Be Sew on February 4. I still need to applique the edges. Thanks to Marian for all her hard work. 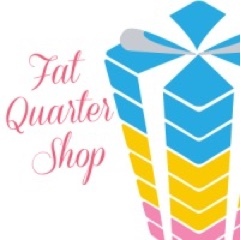 Leave a comment on each blog and enter at Seams To Be Sew to win wonderful giveaways of patterns or for a chance to win a gift certificate from the fat Quarter Shop. I'm nuts about all your teacup creations. Love that centerpiece and teapot! I love all the teacup blocks, so cute. What a lovely bunch of teacups, teapots, and tea things! Thanks for sharing such great ideas. I love tea cups too! Thanks for sharing! Great looking teacups and tea items! Oh how lovely! Love your creations, especialy this panel tabletopper! Love it! Great choice for a theme...I'm nuts about tea too! Your projects are all lovely. What great projects! They'll make any tea party a fun time. What adorable teacups! Thanks for sharing. You found the perfect use for that panel. I love your mug rugs too. I love your teacups, do you mind if I have coffee in mine? I'm not a tea drinker (coffee for me), but your fancy teacup at the top of your post took me back. My mom used to collect those. I'd love to have one to remember her by, but my sister sold them all at a yard sale long ago. Lovely tea things. Thanks for being nutty! Love, love, love everything tea!! Great job on all your projects!!! Great job on the penguins block. Your china is gorgeous. Love your projects. Thanks for sharing. Those are beautiful. I love the "cozy me" saying!! Your teapots/cups were just a delight. The table topper tea pot are perfect together and really admire the tea cup as well, all three are quite beautiful. The little cushion is so sweet. I thought you would do something on this order and you did not let me down, thoroughly enjoyed myself. I'm so glad you had Jenny badge on your side bard, a beautiful blog and person. She is so calming. You just never know where you will find a new friend. Absolutely adore the table topper. I Love How Your Recycled Handkerchiefs for the Teacup Cushion! I Love the Teacups! I love tea--and love all your projects! Thanks for sharing! I'VE ALWAYS BEEN A COFFEE KIND OF GIRL, BUT AS OF LATELY...IT'S TEA FOR ME TOO! LOVE EACH AND EVERY ONE OF YOUR TEA DELIGHTS. HAVE YOU HEARD OF SWEET & SPICY TEA FROM GOOD EARTH? IF YOU LIKE CINNAMON AND SPICE, THIS IS THE BOMB!!!!! I can't believe you found fabric to match your teatpot. Too cool. My favorite is the one with the stacked cups though. Tea is a favorite subject. I've designed several teapot appliques. Can't blame you for choosing tea things to be nutty about. Tea time seems so civilized and so relaxing too. Your penguins are cute too! I love all of your tea things! Thanks! Winter is tea time for me and I keep thinking of making some thing with pieced cups ... Your projects are inspirational! Your projects are lovely. Gives me some gift ideas for my aunt who is also nutty about tea things. Thanks for sharing! Love the fabrics you chose for the Mug Rugs! I'm nuts about tea, too! Thank you for sharing all the inspiration! Love the table topper with the panel blocks. Thanks for sharing. oh and a btw.. While I mostly drink a ton of coffee, I do like tea.. I'm a sleepy time tea girl myself.. along with a Breakfast tea I like from England at times to. Awesome projects!!! I just love the one with the elegant teacups, so sweet!! tea time creations are beautiful. I love tea ... sipping a cup right now! Loove loooove your table center piece. I need to get brave and do an appliqué tea cup/pot one day. I have a stash of my mom's old hankies that I treasure. I have used 2 of them in a table runner that came out so pretty! I also have a difficult time cutting into a favorite piece of fabric...always afraid I'll mess it up or it'll become a UFO. I'm more nutty about my coffee though I do enjoy a good cup of tea on occasion. Great projects; I love the topper you made with the teacup panel - so sweet. Your tea-themed projects all look so nice! I like to see ways that people use old hankies. I have a few to use one day. The pictures in your previous post are gorgeous! I love red and white quilts and the snow is such a perfect background. Lovely projects, I like teacups. Cute tabletopper. The only tea I like is unsweet iced tea. No hot tea for me. So cute! I'm not a tea drinker unless it's summer and then I love it mixed with lemonade or just plain with some lemon squirted in it. I have that same tea cup fabric you used for the centerpiece, and I, too, have been saving it for something special, for the "just right" project. I think it means more when the fabric matches the idea you have for it, when it all comes together; sometimes that takes time, but quilting isn't about "right away", at least not for me. A tea party. Better yet. May I join you for high tea. I'll bring the biscuits. I like your tea projects! And the tea cup centerpiece is lovely. Love tea - love your bog! My favorite is the table centrepiece - looks perfect with that teapot! The teacup reminds me of one my grandmother had. I have a lot of vintage handkerchiefs--never thought to use them the way you did! Great idea! I love all of your projects!! So pretty!! Great tea time projects and love those loving penguins! I love all your tea blocks and table runner! I love all things tea, too! Thank you for sharing your projects. Feel the same way about coffee. Your teacups are so sweet.